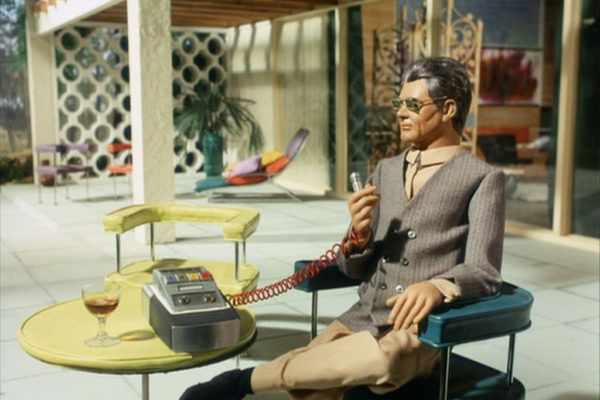 Today, I got acquainted with The Mutiny Hotel, the early 80s cocaine-fueled Miami hotspot where the CIA partied side by side with notorious drug traffickers, celebrities and politicians. 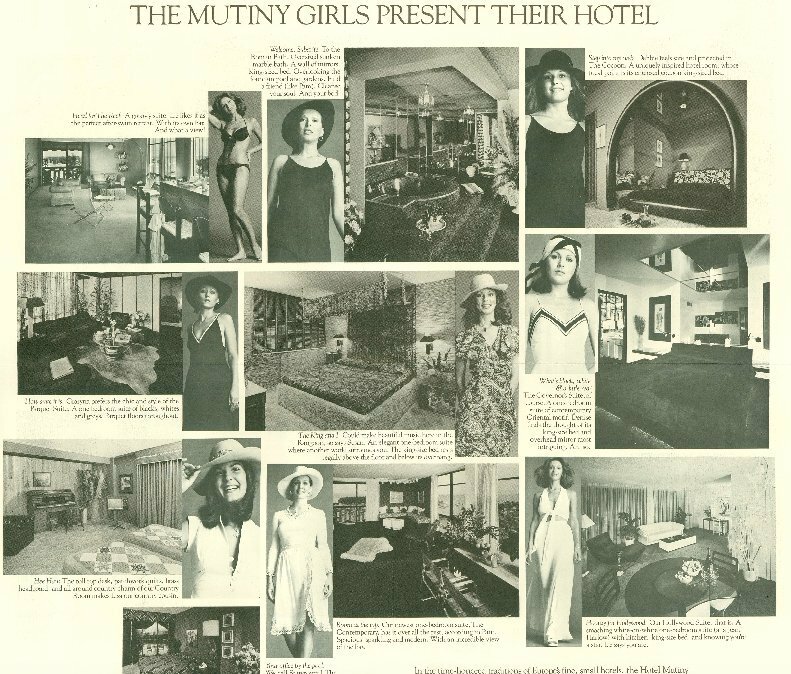 In 1969, The Mutiny Hotel opened its doors on Coconut Grove as the neighbourhood was fast becoming a mecca for cocaine kingpins. 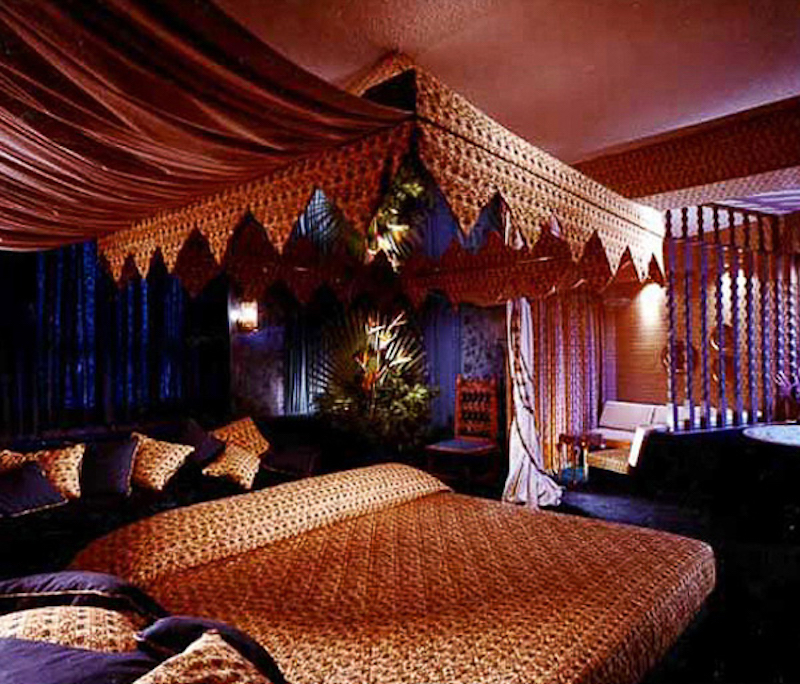 By its peak in the late seventies, the hotel was selling more Dom Pérignon than any other venue in America– even if much of it was being poured into hot tubs. 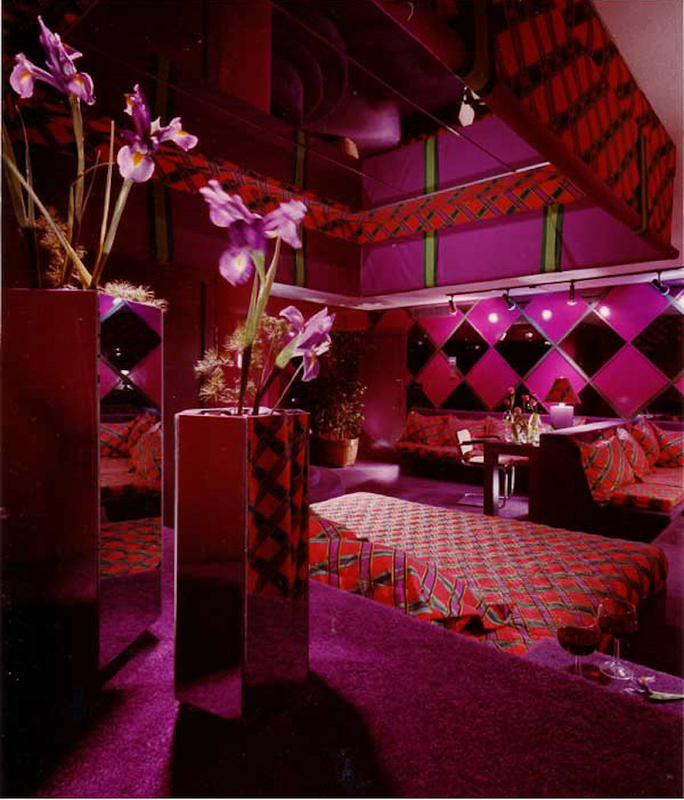 The 130-room hotel boasted a prestigious nightclub downstairs too, which can be recognised as the backdrop of the Babylon Club in Scarface. 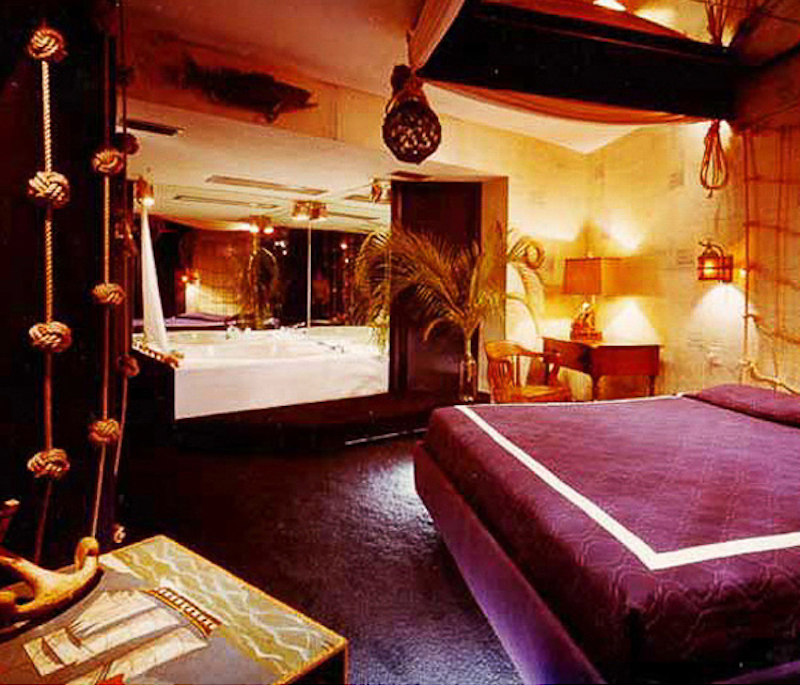 Oliver Stone and Al Pacino and the rest of the cast & crew checked into the Mutiny during the filming for research purposes (naturally). 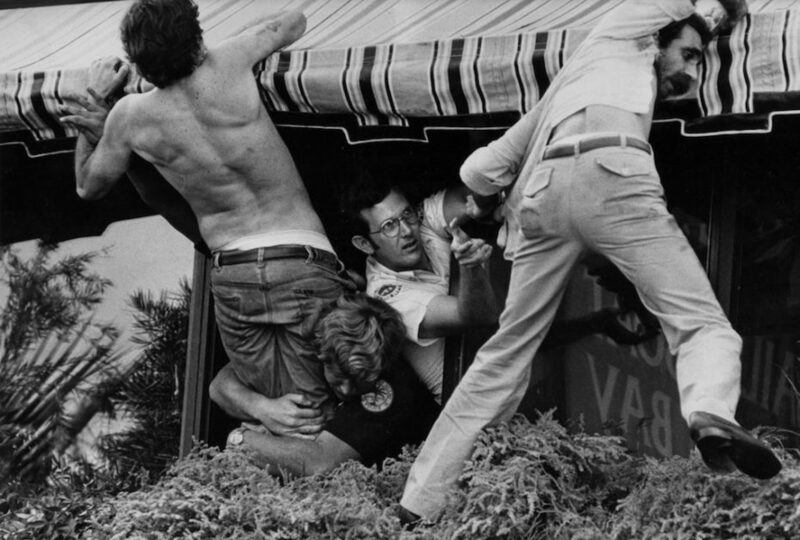 It was here that Miami’s gangsters could both escape and conduct their business in a free-trade zone, hiding their weapons in the bread basket while schmoozing with the city’s elite. 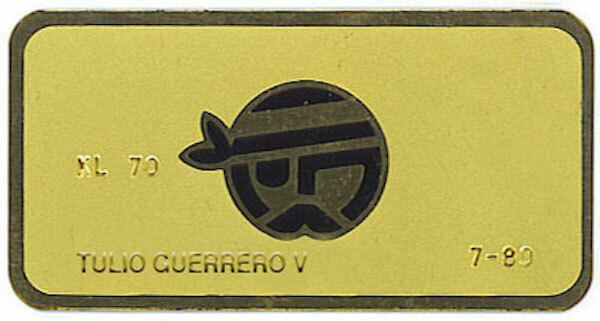 Everyone from the cast of Miami Vice to Rick James to George Michael carried the Mutiny club’s $75 metal membership card with a winking pirate logo that would have tested positive for traces of cocaine every time. 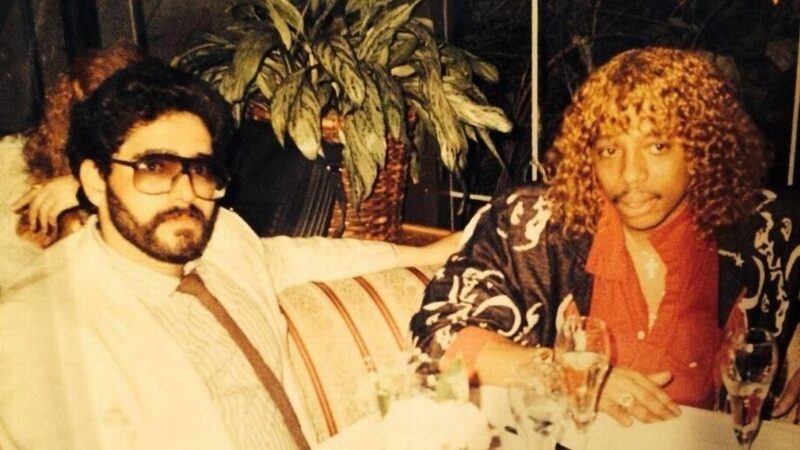 The “Studio 54 of Miami” was constantly under police surveillance, and amongst the crowd of seedy types, an undercover cop was always lurking, wearing a borrowed Rolex from the police evidence locker. 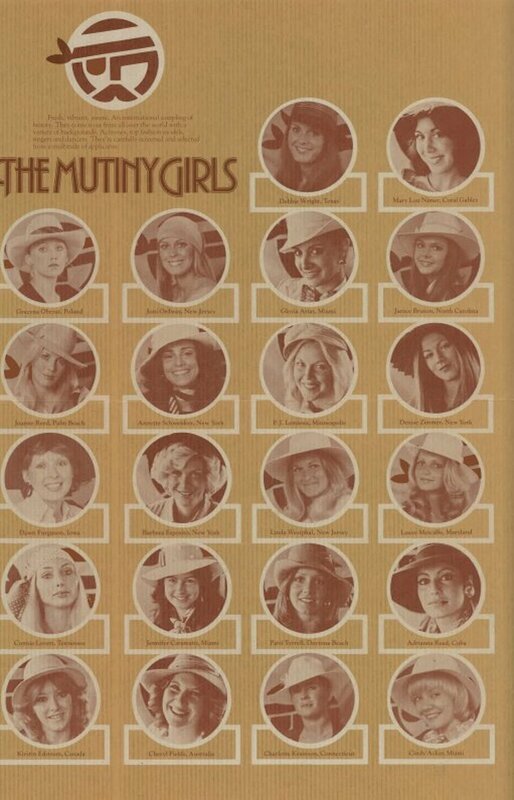 Hostesses, known as “Mutiny girls” were ready to stash weapons on their bodies in the event of a police raid. 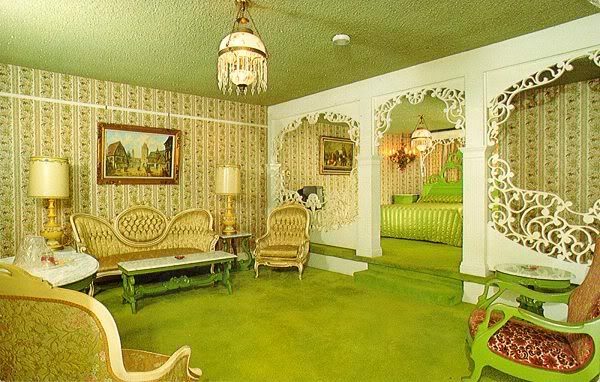 They were also usually available to entertain guests privately upstairs. 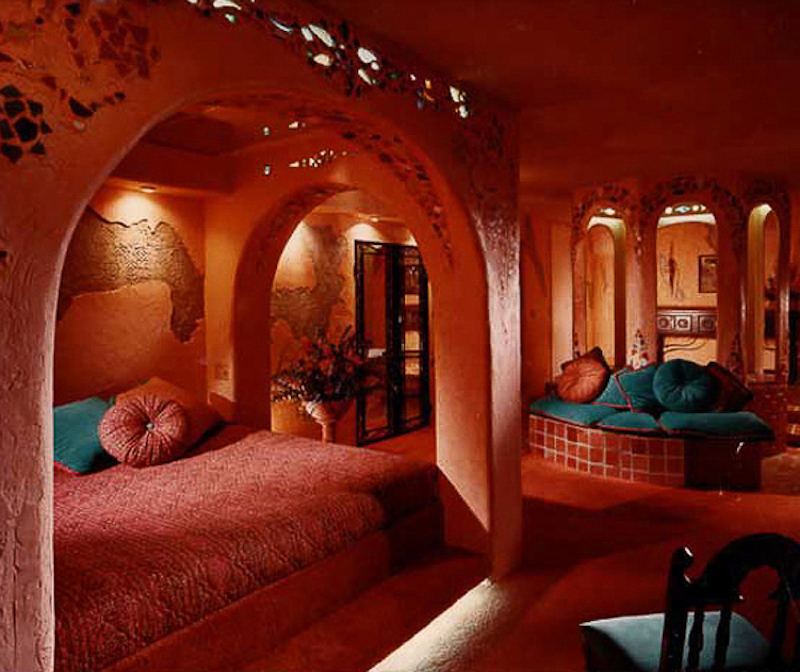 Each bedroom had a different theme like “The Nautical Dreams Room”, “The Moroccan Fantasy Room”, “The Shibui Room”, with roman bath tubs and mirrors on the ceiling. 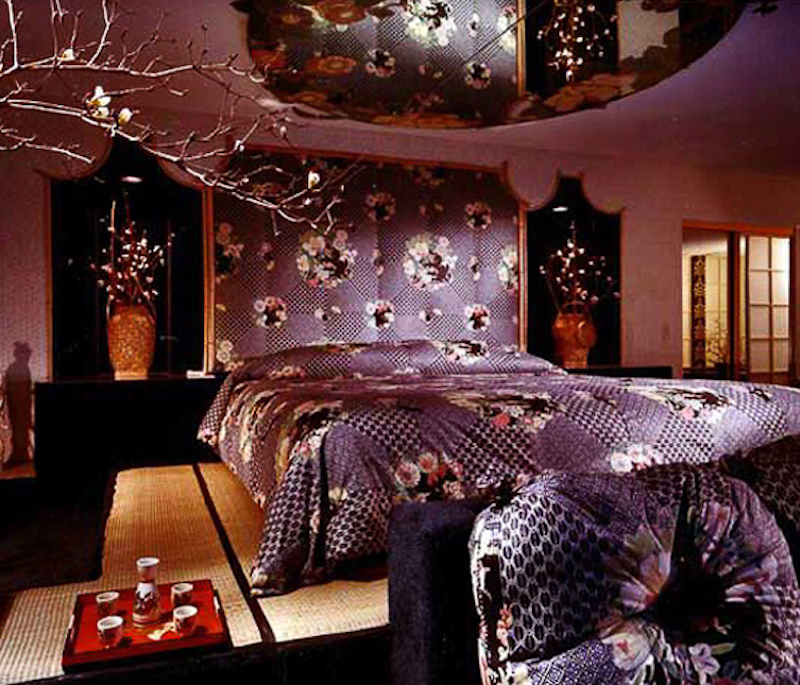 Following a long period of bank repossession, the hotel reopened after more than a decade of abandonment in 1999 and underwent a complete renovation in 2010. 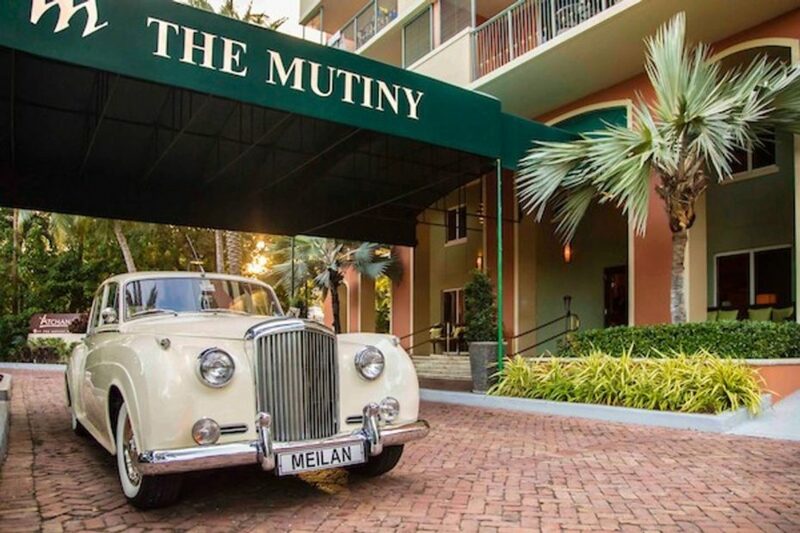 Today’s version of the Mutiny Hotel has slightly lost its “edge”, but the Coconut Grove landmark still sports its notorious pirate logo, still winking at guests as if to say its glory days aren’t entirely lost. 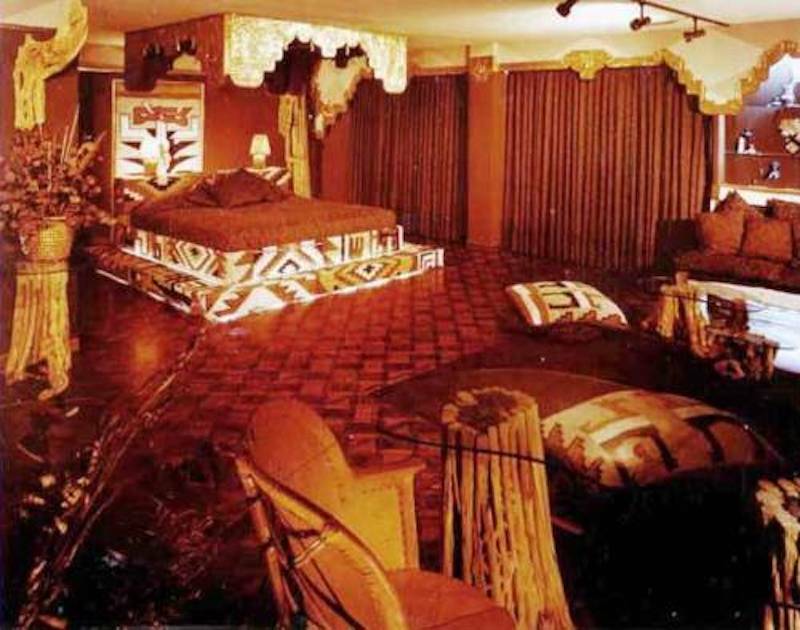 More nostalgic for the kitschy 80s decor than its debaucherous heyday, we tracked down the original hotel’s designer, Carolyn Robbins, who built a number of restaurants and nightclubs in the 1970s with her husband throughout South Florida. 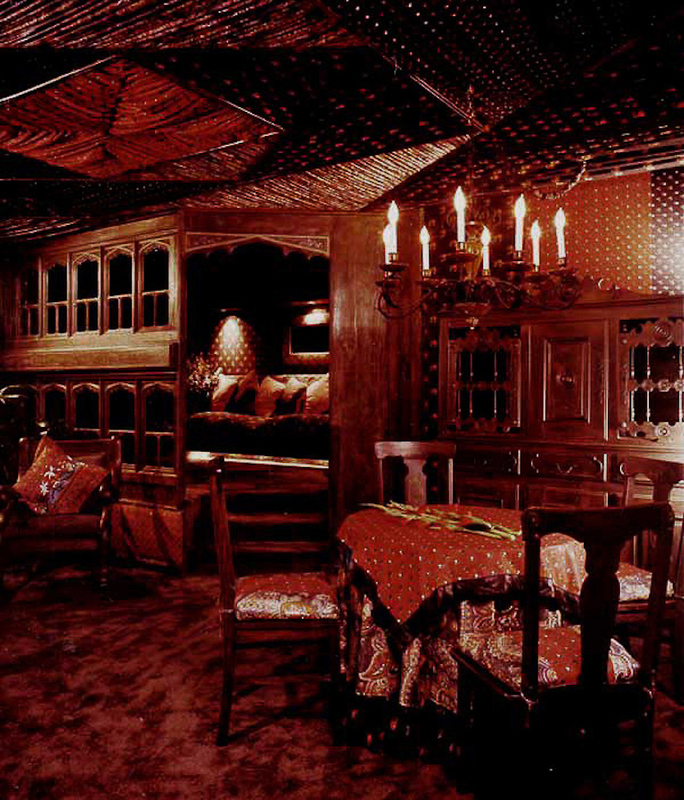 Her portfolio still proudly includes the best of the 130 extravagantly-themed rooms she designed for the Mutiny, and you can now shop her furniture finds here. Meanwhile, the Mutiny’s website says, “If walls could talk, ours would tell an epic story”. 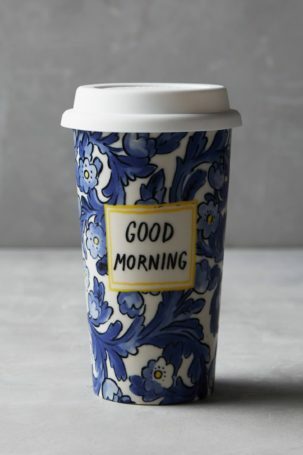 And in fact it did. 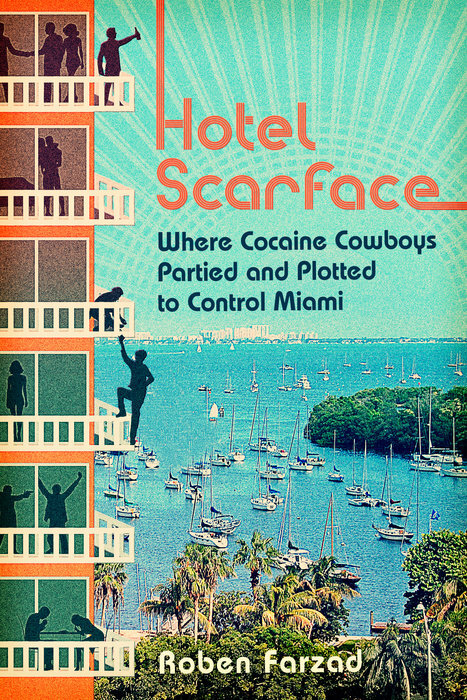 Last year, Miami native Roben Farzad wrote Hotel Scarface: Where Cocaine Cowboys Plotted to Control Miami, a book that had all of Miami abuzz, chronicling the Mutiny’s legendary tales.